Art Director, Reviews, Interviews & Features! Always interested in all things art and design, Cman Wong was, in a way, destined to be an art director. Although she did not always expect to express her passions in the form of advertising, she found it a way to explore her creativity in a way she never thought possible. When creating dynamic visuals for the world’s largest brands, she feels a thrill. “It’s a fancy job title with the responsibility beyond the job title. As an Art Director, you’re basically responsible for all visual elements of a product or campaign, from the presentation deck to the overall look and feel. You have to provide a visual direction that not only is eye catching, but also relates to your target audience and divert the message through it,” said Cman. As an in-demand Art Director, Cman is consistently impressive. She has worked on projects for Marvel, Ferrari, and Undercover to name a few. She is always stimulated by her work and finds that although it may seem like she simply works in marketing, she is truly an artist. Cman has also had the opportunity to work with acclaimed artists and filmmakers throughout her career. In December of 2016, the Art Director collaborated with Tan Dun, an Academy Award and BAFTA Award winning film composer and conductor. This experience was one of Cman’s highlights of her career. “It was such a great honor to collaborate with such a prestigious composer like Tan Dun. It is one of my favorite experiences in my career and my life as a whole. Cross discipline collaboration has expanded the possibility and audiences of my work. It was another example to prove the boundless and flexible art I could make,” said Cman. The project in question was that of the Modern Media National Spirit Achievers Awards 2016. The National Spirit Achievers Awards was first issued in 2007. It is a pioneering work of the Modern Communication Group to carry out “Everything Monthly” sincerity for the eternal moments of the times. It aims to recognize Chinese leaders who have achieved excellence in various fields and created an era. Eighty-one creators, including IM Pei, Fan Jin-shi, Xu Bing, Tan Dun, Ye Jintian, Zhang Yimou, Mao Yuchen, Zhang Xiaogang, Zeng Fanzhi, Ding Lei, Jia Zhangke, Chen Qigang, Huang Yongsong, and Lang Lang, were honored with awards in fields such as art, music, film, architecture, business, education and more. Nowadays, the National Spirit Achievers Awards has become an award with outstanding influence. Each awards ceremony has also become a glorious moment for elite leaders from all walks of life to meet. For the ceremony, Cman provided the art direction on the video content for the main performance, setting the overall artistic style and visual image. In doing so, she developed key frame content that transformed the audience’s experience, adding another level of entertainment and layer of enjoyment to the performance. Rather than simply listening to the music, they had a visual spectacle created by an artist like Cman. The video visualized the rhythm of the music in a poetic way. It was inspired by the music and culture of Tibet and Chinese traditional performance. In the breathtaking opening scene, dust begins moving, followed by a cinematic Chinese opera theme form in the 13th century during the Song Dynasty and digital ink Chinese painting scene. It reformed the best image of traditional Chinese Art in a modern way. The response for the video was tremendous, and Cman personally received not only great feedback from the client, but also the audience who were completely immersed in her creation. “I like it most because it’s a live performance to see the actual reaction and feedback from the audiences. It’s such a great lesson and inspiration to work at such a high level of international standard performance,” she concluded. The striking talent of Yihong Ding as a production designer and art director is literally visible in every project she has touched. She moves seamlessly through the worlds of film, television and advertising; not an easy feat when one considers that the approach a person must take when designing the ambiance of a feature film to match a director’s vision is vastly different from their approach to creating the backdrop of a commercial meant to persuade an audience of consumers. 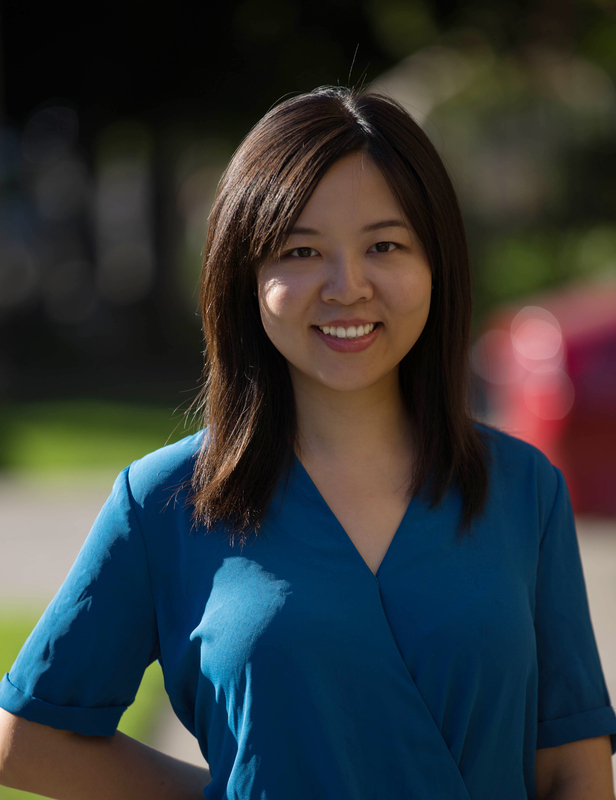 Originally from Shanghai, Ding studied in London and eventually got her master’s in production design at the world-renowned American Film Institute in Los Angeles. Since then, she has been hard at work on an ever-growing list of projects. To ensure each film, show or commercial conveys the right mood and feeling, she works closely with the director of the production to capture and physically recreate their vision. From color schemes to lighting, props to set design, she is responsible for turning the conceptual into the living, breathing worlds we see on film. Ding has worked on projects ranging from The Birthday Boys starring Bob Odenkirk (Breaking Bad, Better Call Saul, Mr. Show) to Mandala, the winner of the 2015 Los Angeles International Film Festival award for Best Foreign Film. She’s done several commercials for Diomany high-end lingerie and served as art director of an advertisement for the Microsoft Outlook app. It’s her work on films like Mira however that really showcases her incredible talent for production design and her awe-inspiring ability to create a self-contained world on the screen. Working on director Amanda Tasse’s Mira, currently in post-production, Ding was given a dual-challenge. First was creating a marine biology research laboratory complete with the appropriate scientific equipment and actual jellyfish tanks. Second, she had to design an intricate “memory wall” which the title character uses to keep a log of her life. Filming on an island presented its own challenges. Ding had to personally pack all of the glass tubes and prop equipment by hand, and shipping all of the fragile items to Catalina was expensive and required her to closely observe weight restrictions and eliminate any waste in the budget while maintaining the realistic integrity of the set. The experience tested and proved Ding’s invaluable ability to balance the creative and financial sides of production design with aplomb. The laboratory she created is so authentic and convincing it’s absolutely indistinguishable from a research facility one might see at a university. While the lab provides the backdrop, the “memory wall” Ding created gives the viewer a personal connection to Mira’s title character. The character of Mira suffers from a form of epilepsy that causes intense seizures and short-term memory loss of the hours preceding each attack. Mira dedicates herself to studying a species of jellyfish which may hold a cure for her disease, but her condition poses a huge challenge and she has to find a way to overcome the amnesia. So Ding helped design a “memory wall,” which becomes Mira’s method of constantly reminding herself of what’s happened before each seizure. Yihong Ding has what many specialists lack: a multifaceted skillset combined with extensive experience in every level of design and the ability to work within any range of budget without ever compromising the quality of the project. From envisioning the conceptual to building the practical, from dressing sets to arranging the details and minutia for the perfect shot, she is a one-woman creative army.